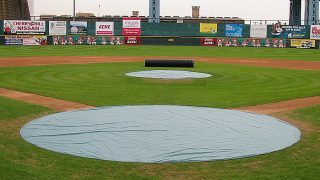 To the average Jane or Joe, when you look at a ballfield and see tarps on a mound and home plate area, they assume groundskeepers put those in place to protect those areas from getting wet from rain and irrigation. 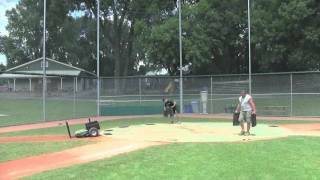 Little do they know that mound and plate tarps are critical tools to assist in maintaining moisture to these two high-wear areas of the ballfield. 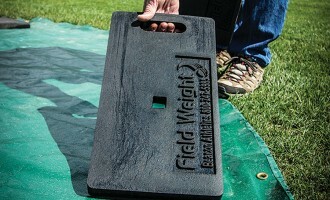 Protection from rain is actually a secondary benefit of using area tarps. Mound and plate areas frequently use a high clay content soil for extra binding power in these high wear areas. Depending on the brand and the level of play the clay is designed for, high quality mound clay soils will have clay content anywhere between 30% and 70%. The higher the content, the better the holding power. But it is not just about the clay content that dictates holding power, the other ingredient is important too — water. Water is part of the glue that holds a soil together and maintaining a good moisture content in the clay wear areas is critical. The more moisture in the clay, the less wear you will see from the activity of a game. Whether it was during my time working for the Orioles or more recently working at our nearby Little League complex, anytime we played through a rain, there was very little, if any, clay repair in the mound and plate needed afterwards thanks to the wet conditions. This demonstrates the importance of keeping as much moisture as possible in your clay areas. The number one enemy of moisture is evaporation and this is where the area tarps play their important role. 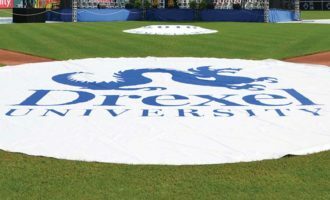 When games and practices are taking place, these areas are open to the weather elements and evaporation is taking place. Whatever moisture Mother Nature takes away from our clay areas, we must replace and protect from further evaporation. 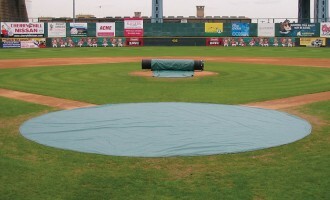 Mound and home plate areas should be covered at all times except when not in use. 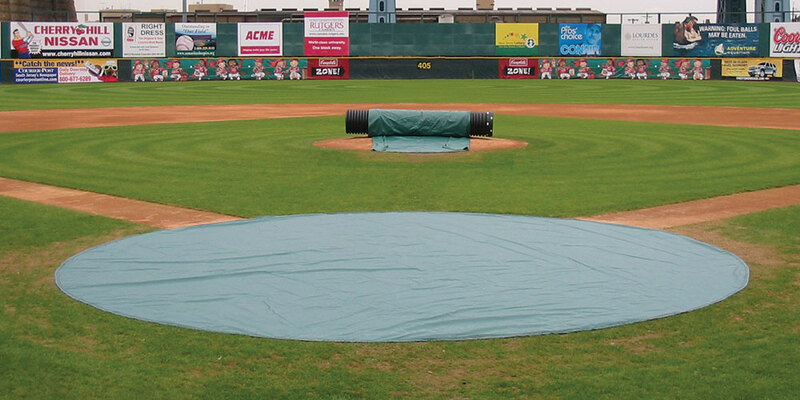 So, protect the investment you made in labor and materials around home plate and the pitching mound — cover them with area tarps.